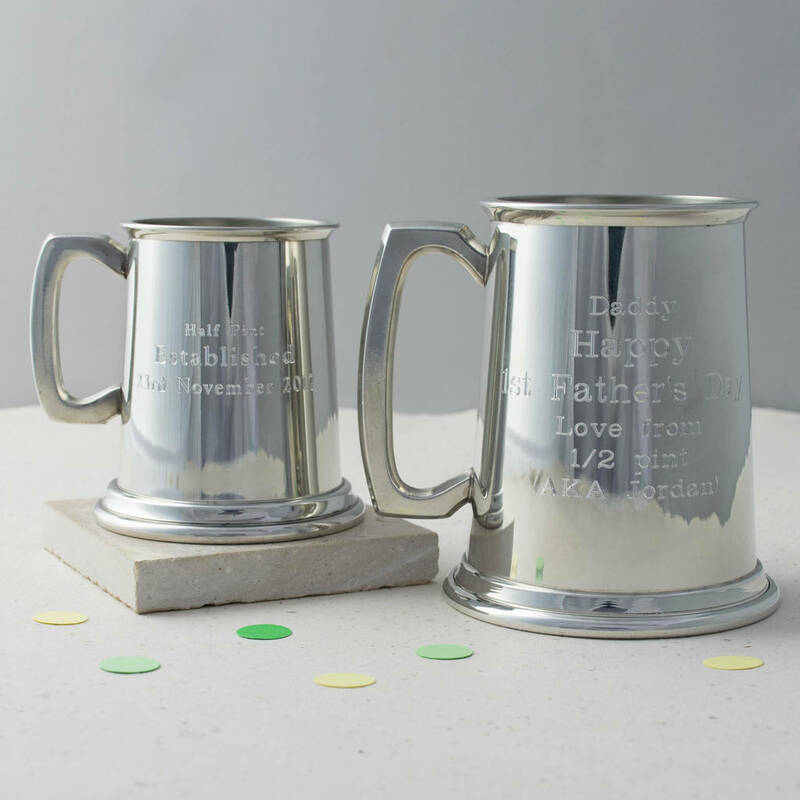 This Personalised Engraved Pewter Tankard will make a memorable Christening, Birthday or Father's Day present. The tankard can be used again and again and will be a cherished keepsake. You can personalise the tankard with a name and up to three lines of text. 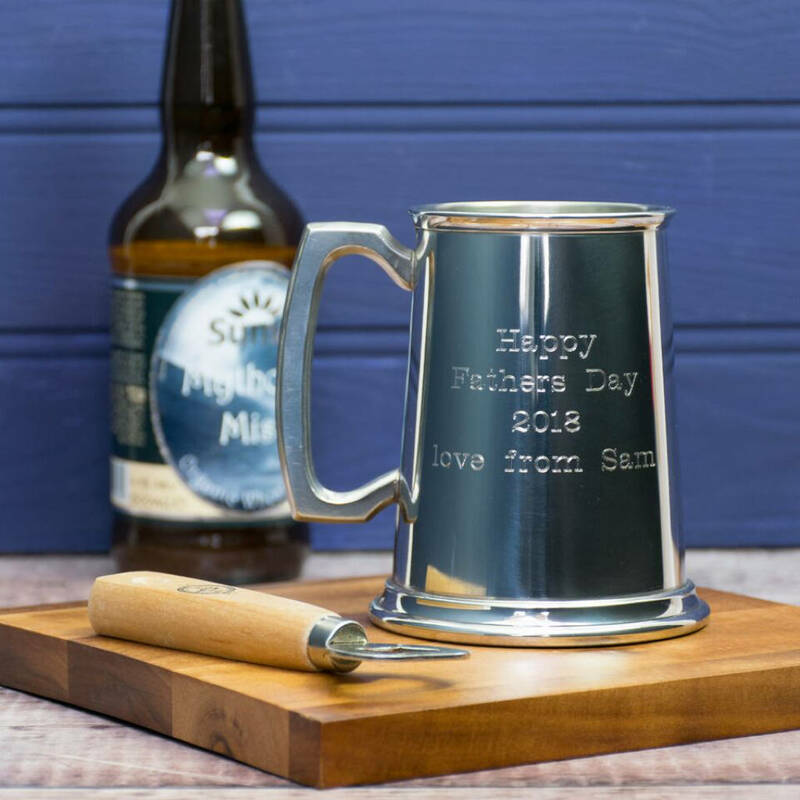 The design is beautifully etched into our high quality Pewter Tankard. Each tankard is hand-etched by our engraver in Brighton. Comes in a dark blue card box so perfect for gift-giving.